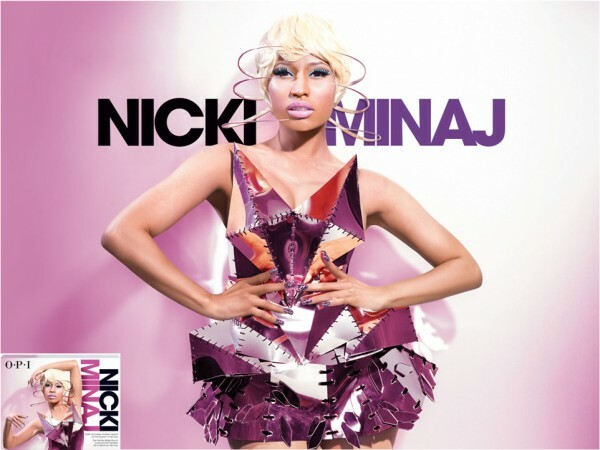 Nicki Minaj has made an album, created a lipstick her signature “Pink Friday” lipstick through M.A.C. cosmetics, and created a sneaker. Nicki is expanding her brand even further with a OPI Nail Lacquer collection. The collection will consist of six different shades: “Super Bass Shatter”, “Fly”, “Metal 4 Life,” “Pink Friday,” “Save Me,” and “Did It On ‘Em.” Nicki’s OPI Nail Lacquer collection will be available in 2012. I know all her barbz and kens can’t wait to get their hands on these. My favorite shades are “Did It On ‘Em” and “Fly.” I won’t be buying this product line because these nail lacquer shades have been created before. The only thing that makes them unique is their names. No shade Nicki, I wish you success on your new endeavour and you look gorg on the ad. Take a look at the collection below. Previous PostBeyoncé’s Got The Love PotionNext PostPerfect Boots For The Fall!